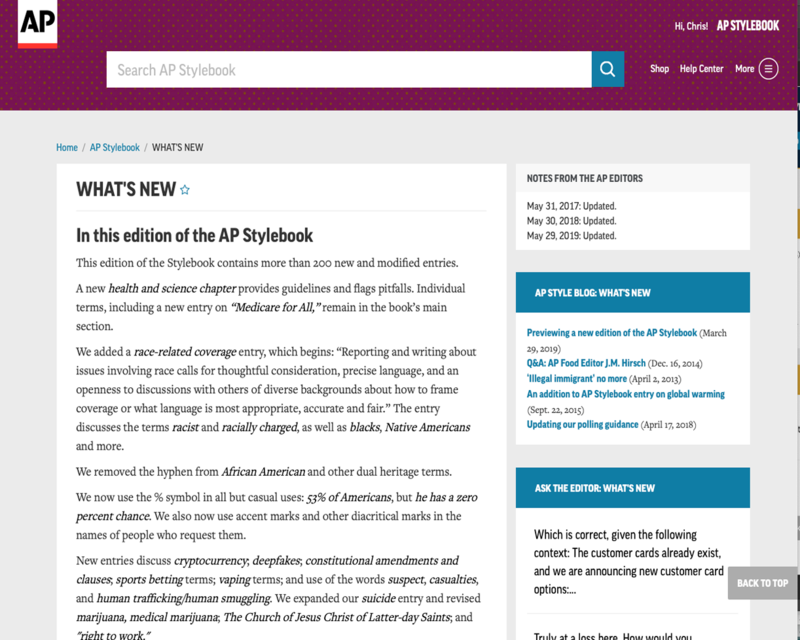 AP Stylebook Online takes everything you love about the traditional Stylebook and adds digital functionality and online-only features to make it an even better resource. 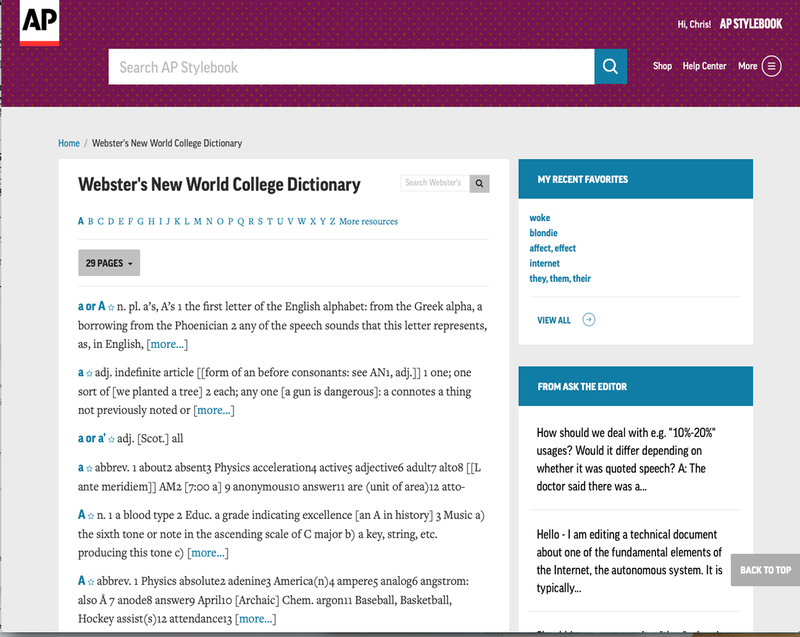 Would you like your subscription to include Webster's New World College Dictionary? Yes, I would like my subscription to include Webster's New World College Dictionary. No, AP Stylebook guidance is all I need. Do you work for a news organization that is a member of the Associated Press? Yes, I am an employee of an AP member news organization. No, I am not an employee of an AP member news organization. Would you like to sign up for automatic renewal and save 20%? Yes, I would like to sign up for automatic renewal and ensure uninterrupted access to AP style guidance. No, I prefer not to save 20% on my subscription. Do you prefer a named-user site license or a concurrent-user site license? I would like a named-user site license, so everyone in my organization has an individual username and password and can add their own, personal custom entries and notes. I would like a concurrent-user license, so we pay only for the number of people using Stylebook Online at the same time. 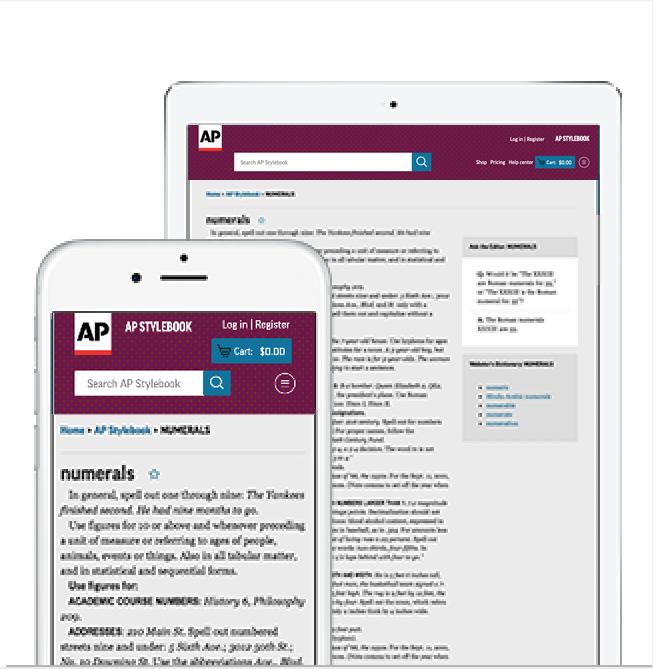 AP Stylebook Online is a searchable, customizable resource for writers and editors. It’s updated throughout the year and valuable online-only resources, including Ask the Editor, Topical Guides and Pronunciation Guide, expand on the print book’s guidance. It’s mobile optimized so you can use it on your desktop, laptop, smartphone or tablet. Updates throughout the year, with email notifications as AP editors add or change entries. 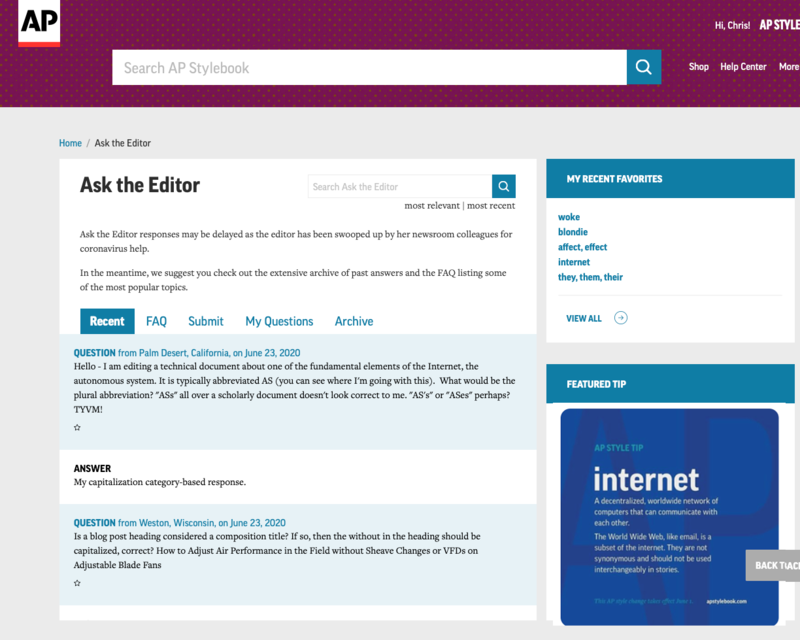 Access to Ask the Editor, where you can search thousands of previously answered questions in the archive and submit your own query to the Stylebook editors. The ability to create your own custom listings and add notes on entries. Search functionality that makes it easier to find all listings relevant to your query, using either simple or advanced searches. Phonetic spellings of hundreds of words and audio files so you can hear the right way to say names in the news. The Media Law Guide’s framework for understanding some of the legal questions commonly encountered in news gathering and publishing. Mobile optimization so you can have convenient AP style guidance on the go. Specialized chapters on sports, business, food, fashion, religion, broadcast, data journalism, social media and punctuation. 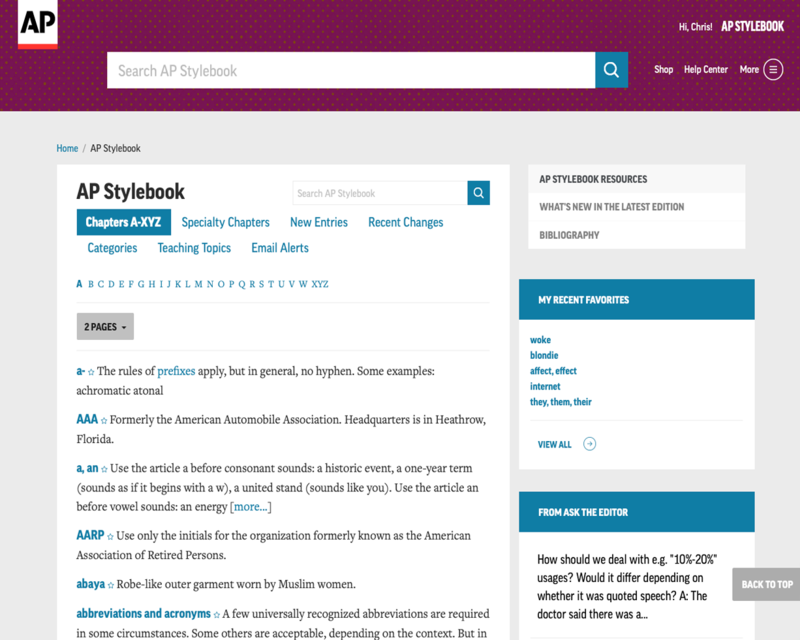 AP Stylebook Online is easy to use. It’s a web-based tool so there’s nothing to download or install. If you have a named-user subscription, which most users do, you just activate your account using the link we email you, then log in with your username and password. You’ll find it’s easiest to use Stylebook Online when you click “remember me” when you sign in. If you have a concurrent-user license, we will ask you for your IP address and the name you would like in your URL, such as apstylebook.com/yourcompany. We will set it up from there and any of your team members on your IP address will be able to use Stylebook Online simply by going to that URL. 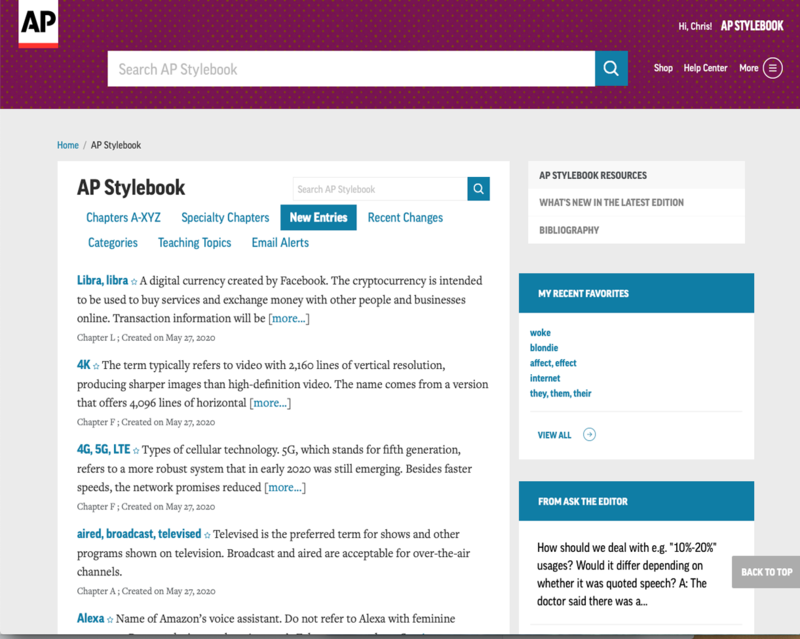 Flash and other plugins are not required to access AP Stylebook Online. 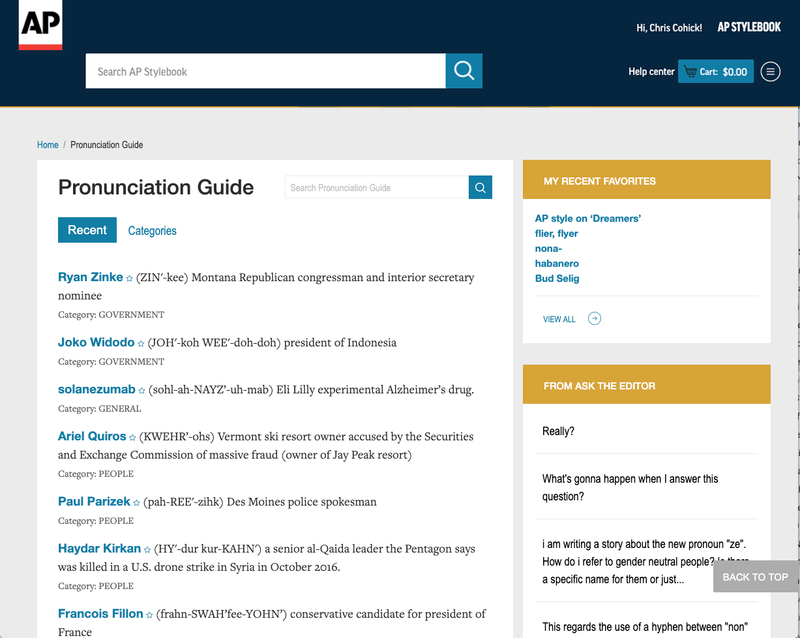 The pronunciation guide uses .mp3 files for the audio pronunciations. We have 24/7 customer support so please tell us what you are experiencing and we will get in touch to help resolve your issue.